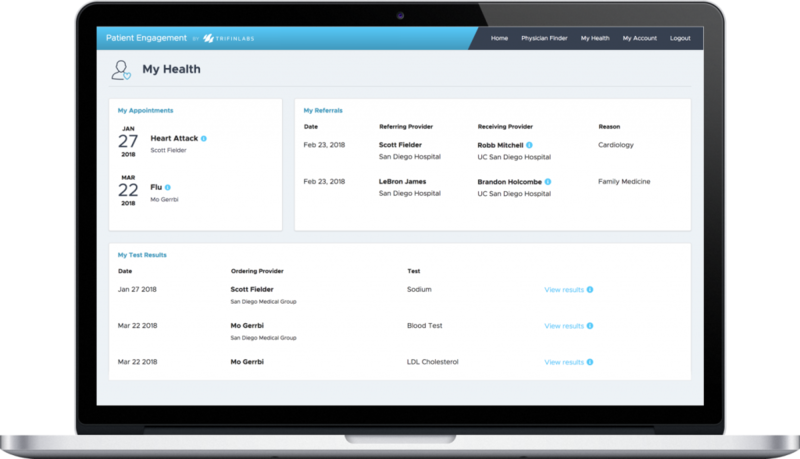 Healthcare Patient Engagement is a web and mobile application that allows healthcare providers to provide their patients with instant access to their medical history in a secure, HIPAA compliant experience. From within the patient engagement app users can schedule a ride with uber to their upcoming appointments. When they arrive to the hospital campus or medical plaza, they can receive turn-by-turn directions to the exact location of their appointment. Users are able to use their phone camera to scan their insurance card rather than typing out all the fine details. At any time these users can check on their recent insurance claims and deductible status to stay on top of their spending. Search, evaluate, and schedule an appointment with local physicians using the Physician Finder within the app.